Amazing 2006 Audi, still going strong! I have had my car for about 3 years now and I love it, for a majority of the ownership I was a nanny so I was definitely driving a lot so I hate the gas that I have to put in it, I wish it was the unleaded. The acceleration is really good, and it really has that sports car feel without it being over done. The features inside have all stayed good and I haven't had to fix or change anything. The clear sealing has started to appeal in places where you touch a lot, but being over 10 years that is expected. Also the cloth on the sealing has started to come down in the back. I also love the trunk space and how you have side compartments in the back; one that is open and one has a door so you can store small things in there without being seen. I really enjoy the look of the low profile tires on my car, but I feel like I can hear more noises when I run over bumps or mini pot holes on the road. I take care of the regular maintenance stuff and I have only had one repair, nothing major. I have leather seats in my model that come with seat warmers and I like that I am able to pick how hot I want the seat to be, instead of just having a 1 or 2 setting it is 1-9. Overall it has been a great car that gets me to the places I need to be. 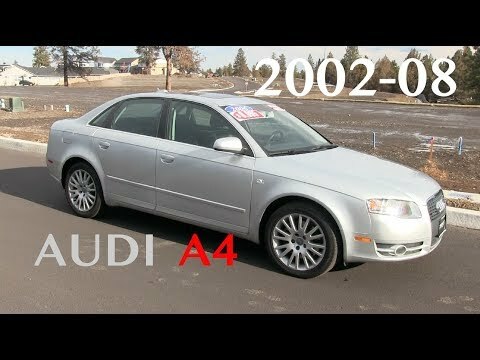 Fast and reliable Audi a4 2006. I love my Audi and how fast it is but I do not like the multiple. Problem it comes with buying a foreign car. Much more expensive as well. I like the look of my Audi and I get many compliments on how I have such a nice car even though my car year is only a 2006. The leather interior is very nice and an Audi is a sports car so you will always get compliments from guys lol. Audi’s are reliable on gas a little bit but thing I like about the gas is that it tells you how many miles you have left until empty. It has all wheel drive as an included feature. I enjoy the all wheel drive feature that comes with the car. I also like the real leather seats and appreciate the inclusion of an Audi first aid kit. I appreciate the fog lights that are also on the car, they make visibility at night much better. The one thing that i dislike about the car is the radio does not have an audio jack for my phone.